What makes a coffee spot special? Good coffee, of course, but it goes beyond that. An excellent menu, easy vibe, cosy atmosphere and friendly baristas that get to know you by name. 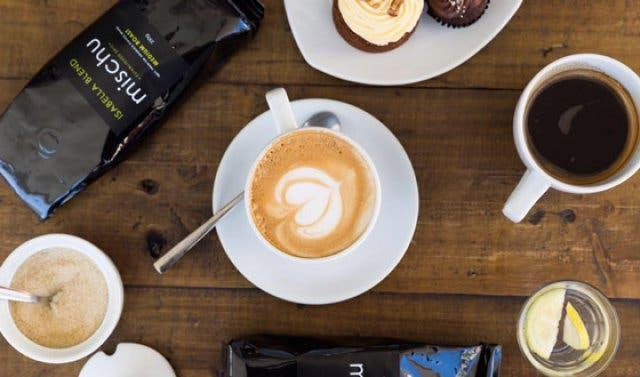 Add to that a good reputation for creating their own, superior, coffee blends, supplying shops and training baristas, and helping others set up their own coffee businesses around the Cape. That’s the kind of 360 approach that’s made Mischu in Sea Point the familiar and popular spot it is today. What’s new, though, is their comprehensive menu that caters for breakfast, lunch and everything in between. 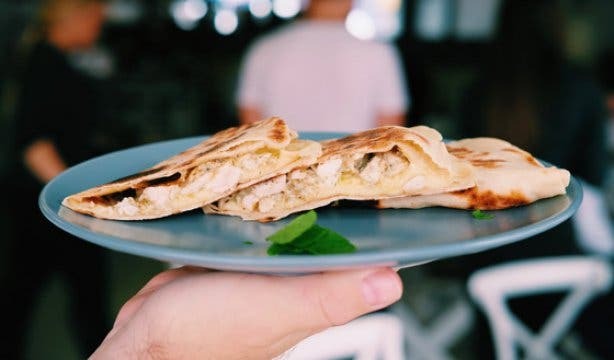 And it’s a special one, says owner Mikhael “Mischu” Bou Rjeily because it was five years in the making (he wanted to perfect his coffee first), with a focus on healthy food with a hint of Middle-Eastern flavour. Right from the start the new seared tuna salad and eggs and herbed labneh sandwich became a firm favourite with the locals. 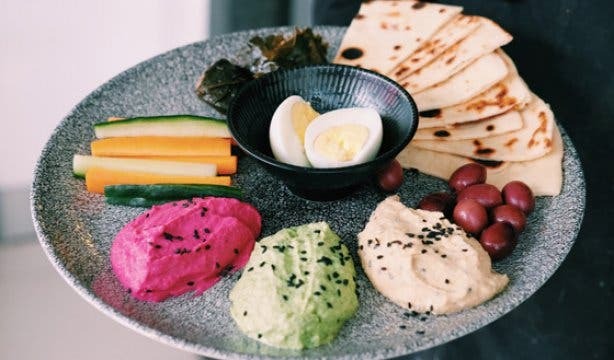 But the chefs say the mezze platter served with flatbread, herbed labneh, boiled egg, chia, beetroot cumin hummus and dolmades (amongst others) is the one to try. Vegans will enjoy the speciality breakfast and lunch options, too. There’s a chia seed pudding with almond milk, the lemon and herb quinoa salad, and the Middle-Eastern spiced chickpea salad with sweetcorn, kale, leafy greens, radish, cherry tomato, avocado, and lemon tahini dressing. They also launched their smoothie menu with flavours such as goji berries, peanut butter and a very tasty date one, which is made from tahini, banana, almond milk, flaked almonds and blossom water. But, of course, it’s best you come to Regent Road and find your new favourite yourself. Luckily, you already know the coffee’s good. Whenever someone asks about special coffee, think the guys that teach other businesses how to brew theirs. Not your ordinary coffee shop, Mischu see themselves as more a coffee “showroom” than a coffee shop, showcasing the art of coffee making. Their baristas often train other companies on how to make a special coffee, as long as they share Mischu’s passion for coffee. Speaking of coffee, one to taste (if you’ve never been) is the Isabella blend. It was named after owner Mischu’s firstborn child (who was born the same week that the blend was introduced to the South African market). The Isabella blend is a 100% premium-quality washed Arabica coffee, freshly roasted in South Africa. 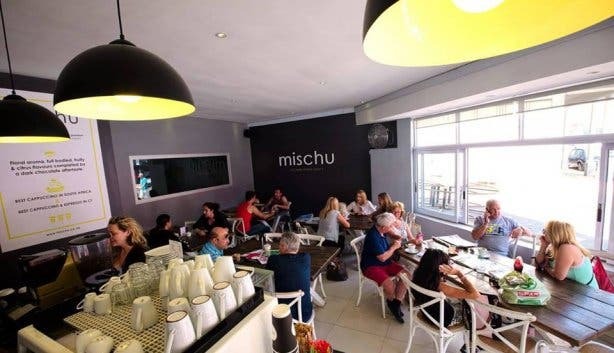 And Mischu won a few trophies for that one: Best Espresso and Best Cappuccino at the Cape Town Barista Awards in 2012, and Best Cappuccino in South Africa and Best Coffee by OfLocal in 2015 and 2016. And if you are looking to open your own coffee shop, you can speak to Mischu about stocking the exclusive Isabella blend in your cafe. They will also give you advice about your startup or provide you with barista training. 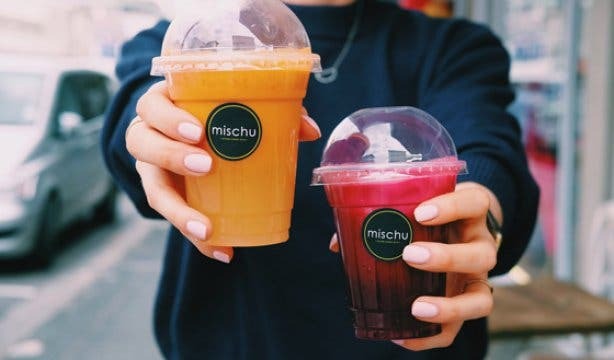 There is a reason why Mischu is so respected in the coffee-drinking community – it’s the blend of quality coffee and the fact that he trains and works with baristas across the city. 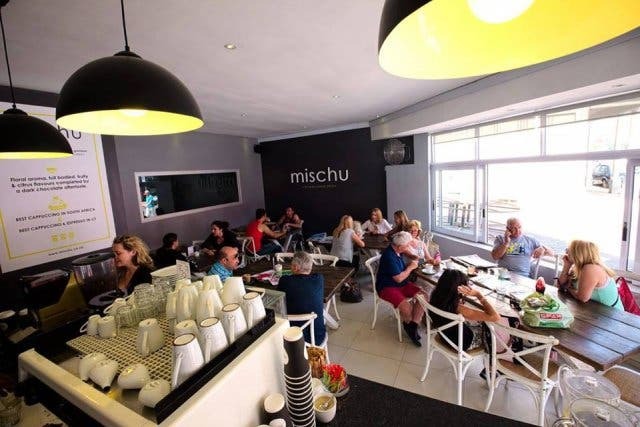 If you can’t come out to the Sea Point store, you can still enjoy delicious Mischu coffee because you can order from their online store. Shop for the Isabella blend coffee beans, coffee capsules, aeropresses, and vouchers that you can gift to all the special coffee connoisseurs in your life. They even have free delivery nationwide for orders valued at R500 or more. Despite their great reputation, Mischu is unpretentious and cosy enough for anyone to be able to walk in and come see what the buzz (and the brew) is all about. It’s relaxed and it’s easy to feel like a local, even from your first visit. Tip: Bring the kids along to the Sea Point shop – there is a selection of board games and books to keep them occupied as they wait for their delicious meals. 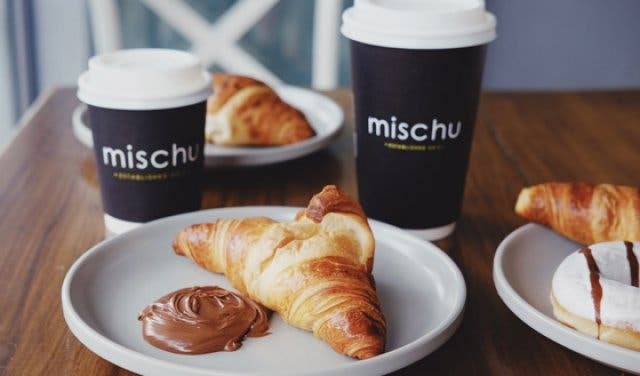 The Bill: The prices for the coffee at Mischu range from R24 to R46, and the meals go from about R23 for a freshly baked croissant to R119 for a seared tuna salad. Interested in tasting the Isabella blend? Here’s how to get the coffee capsules for a 30% discount via Mischu’s online store. Looking for other coffee spots in your area? See our selection of the city’s unexpected and unique coffee shops. Want to know which other local stores sell your favourite items online? Check out these online stores that offer something special. Still need to get dad a gift for Father’s Day? Here are some surprisingly affordable and exciting gift ideas for dad. 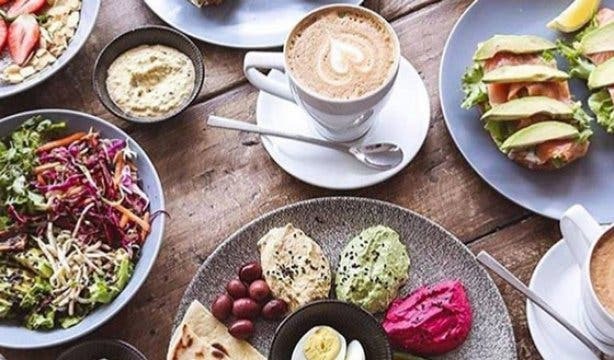 Also, stay connected with the inside scoop on all the cool WiFi spots in Cape Town. 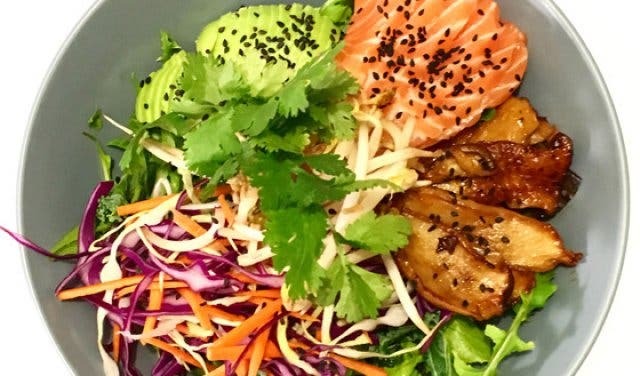 Looking for a varied cafe nearby? 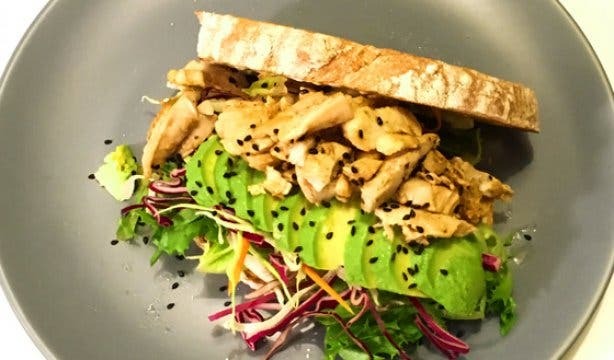 Why not try out Coco Safar?